What is SEO really? SEO is short for Search Engine Optimization – it is the process of increasing traffic to your website from organic search results. We have all Googled something before, and when you search for any information using a search engine like Google, Bing or even DuckDuckGo, you will get a page full of results with links to different websites as shown in the image below. 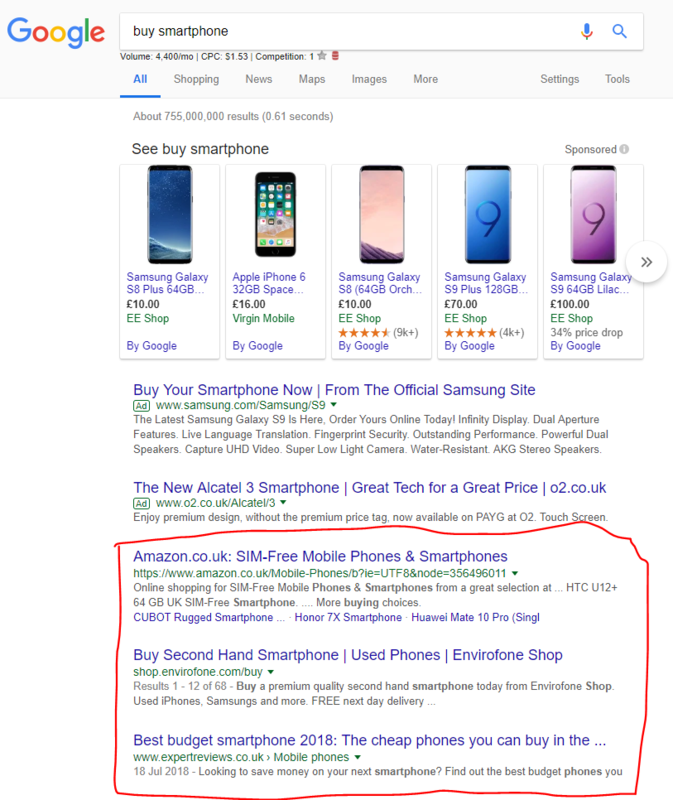 The links highlighted in red are the organic results and results shown above those are all paid for using Google Adwords. 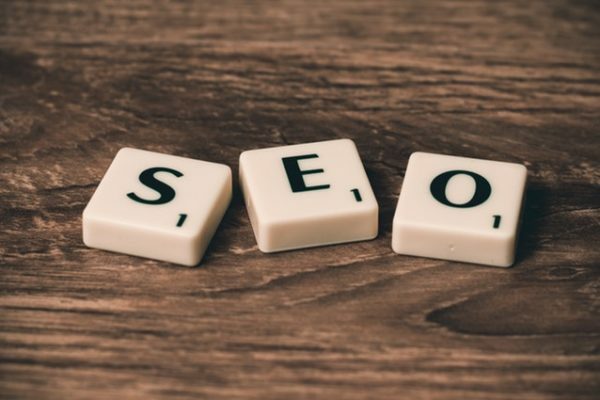 As mentioned before, SEO or Search Engine Optimization refers to a series of steps, techniques, and actions that can improve the ranking of your website on major search engines. For our full list of the most important SEO tips, click the highlighted red text. By attaining high ranking on search engine results pages you can be sure of receiving high traffic for relevant keywords. To do this, you have to create a website that is fast, regularly updated with high-quality content. Technical SEO – The aspect of SEO concerned with website speed, performance, and security. On-Page SEO – All the different ways of optimizing your web pages including adding ALT tags to images, using relevant H1 and H2 structures and so on. Off-Page SEO – This has to do with the collection of high-quality backlinks from authoritative websites and getting visits from social media. In short, to do well in search engines, you need to have a fast website – you can check your website speed using this tool. You will also need to optimize your web pages and get links from high-quality websites. When users type a search term in a search engine, they are presented with a search engine results page (SERP) which mainly consists of websites that have the possible answers to any given query. Search engines use several factors, over 200 to determine the rankings of these websites – most of which are not known to us. The search engines scan through websites and determine their quality. It then creates an index of several websites which it will be always referring to for every given query. We tend to spend most of our time thinking of how to utilize SEO such that we don’t bother to trace its origin. The history of SEO dates back to 1945 when the director of the then Office of Scientific Data research and Development came up with an idea of developing an archive of all the world’s data. This idea was later conceptualized by the present day Google and other major search engines. Significant steps started taking place in 1993 when the first search engines were developed. They included Architext (was later renamed SEL), World Wide Web Wander and ALIWEB. Yahoo, Alta Vista, Lycos and Infoseek search engines came into existence in 1994. Two years later, the name Google came to life. Microsoft registered Bing in 2009. The modern-day SEO started in the early 2000s when Google started dominating the industry. During those days, the company paid very little attention to advertisements. It provided guidelines for white hat SEO – the SEO practice that involves getting rankings through legitimate ways. Major shakeups took place in 2009 and Bing entered the market but still did not manage to outdo Google. It was also the year that Google introduced the Caffeine algorithm. Google rolled out the Panda algorithm in 2011 which was designed to punish sites that published low-quality content. Since then, Panda has undergone a series of updates which have made life tougher for people who try to cheat with SEO. Google rolled out Penguin updates in 2012. These updates rewarded high-quality websites by ranking them highly. On the same note, low-quality sites were heavily punished. The Payday Loan algorithm was rolled out in 2014. It was tailored to lock out spammy websites. Google released the Pigeon algorithm in 2014. It was optimized to give results for the local searches. In the following year, Google released an update that gave mobile-friendly websites the first priority. In addition to that, Google and Bing have been making advancements that are aimed at improving the accuracy of voice search. This is the most basic factor. When you publish content on your website, you should try to create the content around certain keywords that people search for. But how do you know what people are searching for? Good question! You can KW Finder to do just that! The best way of dealing with this issue is by conducting an intensive keyword research. Once you identify relevant keywords for your site you can then create content around that. Read our article about content writing tips for beginners to get a very good idea about how to create amazing content. How trustworthy is your domain? Search engine analyzes whether your website can be trusted by considering how old the domain is, how many backlinks it has, how many visits and the quality of content. This means that you should not expect to rank highly during the first month after launching your website but with careful and strategic content output you can grow this considerably. Search engines analyze the types of websites you are linking to as well as which websites are linking to you. The aim is to always link to high quality, popular website content and to publish your own great quality content so that powerful sites will link to you as well. Search engines are smart enough to determine the category that your website belongs to. They will know whether the content that you have published is relevant to any query. You can optimize your website by making sure your page headings (H1) always contain a keyword and your content is relevant to certain keywords and search terms. Well-designed and organized websites have the potential of ranking higher than poorly designed sites. The design of the site should allow users to navigate with ease. Mobile-friendly websites always rank highly, especially for the search queries that come from mobile devices. 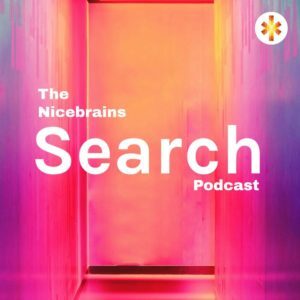 In recent years this has become more and more important as more people are using their mobile devices to search. SEO is the complex but easy to learn process of optimizing your websites to rank higher in search engines. These are just a sample of the many factors that affect the SEO performance of a website. If implemented well, SEO will have a direct impact on your business. You will get high web traffic which will translate to more revenue.